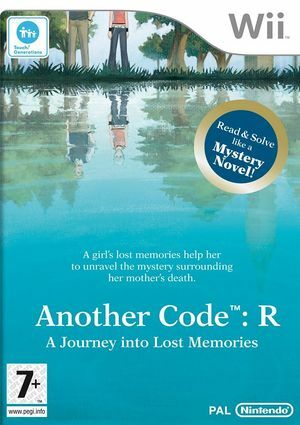 Another Code: R - A Journey into Lost Memories is an adventure game for the Wii console. It is the sequel to Another Code: Two Memories (known as Trace Memory in North America). Unlike its predecessor, the game has not been released in North America and Australia. In the guesthouse before using the TAS for the first time (when getting the charcoal) with Dolphin 4.0-9103. In the boathouse with an unknown Dolphin version. ALWAYS save state before saving in-game so that if your save corrupts, you can load your state. Get into the habit of saving in multiple areas and keeping multiple save files because the save corruption seems area dependent (so far, it is only known to occur in areas where the camera is behind Ashley's back, so try to save in areas where Ashley has a side profile). For example, if you want to save in a building, make a save inside the building and another save outside the building. Attempting to take pictures causes the game to crash. There is no known work-around. 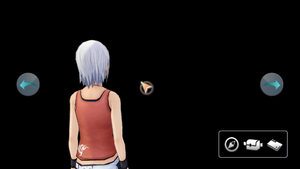 Luckily, story based pictures (such as the rainbow stone) don't seem to crash all the time. When taking a picture outside it crashes much, much more often, so beware. Off Required to interact with closeup scenes. The graph below charts the compatibility with Another Code: R - A Journey into Lost Memories since Dolphin's 2.0 release, listing revisions only where a compatibility change occurred. r7719 Windows 7 Intel Core i5-430M ATI Radeon Mobility HD 5470 Very laggy, 15FPS and some graphical glitches. Some gameplay functions won't work preventing advancing in the game. May crash. This page was last edited on 1 August 2018, at 10:41.